At Wednesday night’s regular meeting of the Walker County Hospital District, the District’s Board of Managers heard a financial presentation from Huntsville Memorial Hospital (HMH) leadership. Addressing the District Board was Michael Morgan of Healthcare Management Partners, who arrived at HMH approximately 2 months ago as a chief restructuring officer. Morgan said he believes “most people feel like they are well-advised for where we are at this point in time.” He went on to say that he was working with several additional advisers that are working on “a situation where we might have more capital brought into the community” but did not give any specifics on what that might entail. Morgan reported that Huntsville Memorial Hospital lost almost $1.2 Million during the month of April 2018 alone. An even larger negative number was the on the HMH balance sheet: with assets of just $22.8 million and liabilities of more than $30 million, the hospital’s operator is almost $8 million in the red. Where did the assets go? For perspective on how HMH’s financial position appears to have changed, below are numbers taken from filings by HMH for 2013, 2014, and 2015 compared to the numbers released by Morgan on Wednesday. While the total liabilities remained rather consistent, the reported value of the assets has plummeted. If HMH’s surplus assets over liabilities has gone from roughly $40 million to a negative $7.9 million in just over two years, there arises a question of financial solvency. This is especially true if HMH continues losing more than a million dollars per month. The HMH clinic in Madisonville is closing. The HMH emergency room in Madisonville is closed. The HMH clinic in Willis will be closed. These were referred to as “unproductive outlying” entities. There are still leases in play for these commercial facilities that need to be dealt with so even the closings of these three locations won’t completely stop the losses on these facilities. Morgan outlined strategies which they believe will result in increased revenue for the hospital including increasing the number of Medicaid pre-natal care patients in the hospital clinic and continuing to work on staffing. Mr. Morgan did not take any questions from the media after presenting the information. There is the Walker County Hospital District (WCHD), a governmental entity whose Board of Managers is a publicly elected body. This is a 5-member board elected from within Walker County. This board is subject to the Texas Open Meetings Act and other requirements of local government. When you pay your hospital property taxes, those taxes are the responsibility of this board. The WCHD board also sets the tax rate for your hospital taxes. You can obtain their budgets, CAFRs and other documents on their website or via a Public Information Request. This board is responsible for paying for medical care for indigent residents of Walker County and for providing a hospital for the residents of Walker County. Their operations are confined to Walker County residents only. 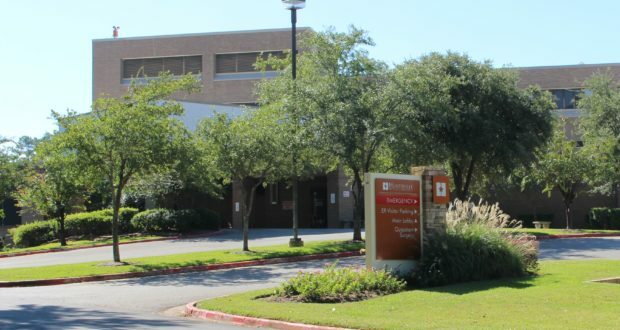 The Hospital District does not run the hospital; they hire a third party, often referred to as an “operator,” to run the day-to-day operations of the hospital itself through an Operating Agreement. Then there is the Walker County Hospital Corporation dba (doing business as) Huntsville Memorial Hospital (HMH). This is a private corporation and is not subject to Open Meetings, Open Records, or other requirements that local governments must follow. The Walker County Hospital Corporation is governed by a Board of Directors; the members of this board are not elected by the public. They are not required to make their meetings open to the public. As a non-profit corporation, they are required to file certain information with the Internal Revenue Service. Their operating agreement specifies which information, if any, must be shared with the WCHD board. This corporation is currently the operator of Huntsville Memorial Hospital. They run the day-to-day operations of the hospital. The Walker County Hospital District holds regular meetings monthly and those meetings are open to the public.